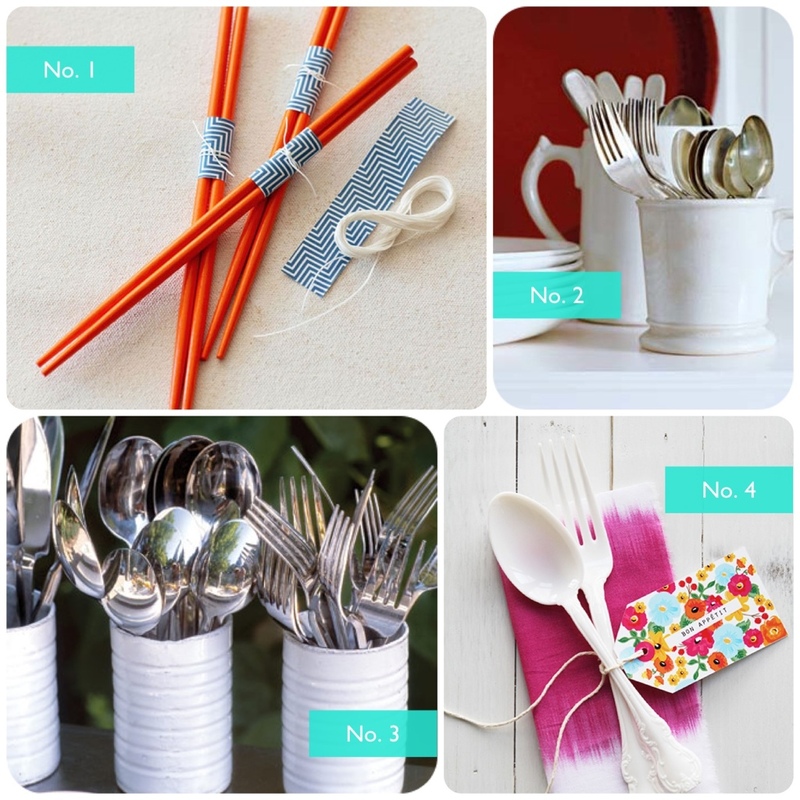 To continue my obsession with table settings, I am always looking for creative ways to bundle up silverware. As I try to squeeze out a few more weeks of summer, here are some of my favorite simple ideas for any table setting this summer. From everyday utensils to the takeout chopsticks we have a little something for everyone. Happy Monday! Those Bon Appetit tags are SO cute! Love the idea of putting flatware in mugs too! So many fun and quick ideas, wish I could take credit.